The Cherokee has some real attractions, with economical engines and distinctive looks, but there are several important areas – especially its ride and refinement, and to a lesser extent its quality – where it lags behind its key rivals. 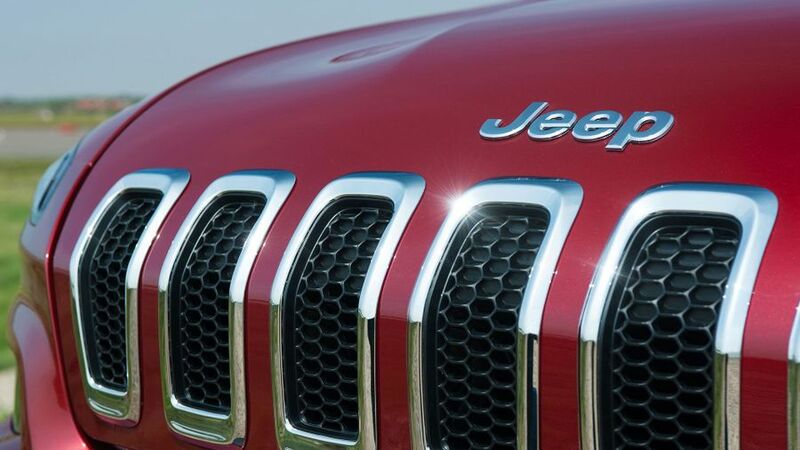 Interested in buying a Jeep Cherokee? Thanks to the trademark seven slats in the bonnet, there’s no doubt that this is a Jeep, but it’s not a Jeep as we’ve come to know it. 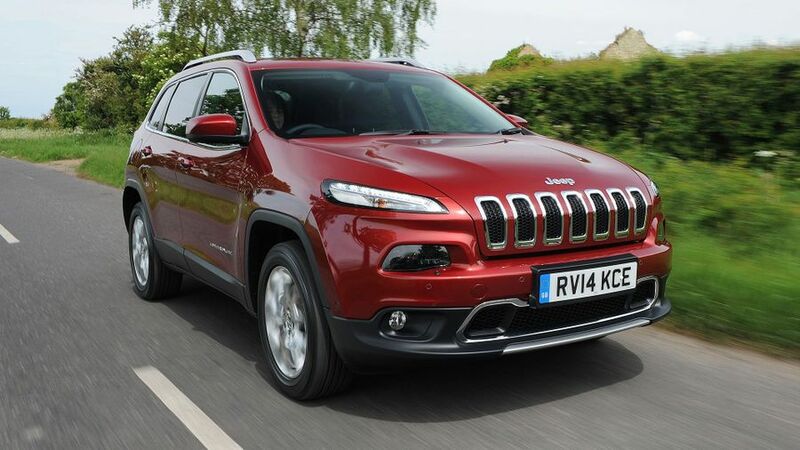 The Cherokee is much less boxy than previous models from the company, and in an area of the market where style is hugely important, the slimline LED daytime running lights set above the headlights certainly give the Cherokee a distinctive face. Best of all, every car in the range has the same visual impact. All versions come with chrome trim on the grille and roof rails, as well as around the side windows, while the mirrors and door handles are body-coloured. Alloy wheels are also standard-fit, and (visually, at least) the only extras you get by choosing the top Limited trim are larger, polished wheels and some extra chrome trim, most notably on the front end, below the grille. The Cherokee’s cabin has just the kind of no-nonsense look you might expect from a Jeep. The driver is presented with a range of big buttons that couldn’t be easier to find and press, but operating the touch-screen display is a little tricker - with some odd menu layouts and small on-screen buttons making it tricky to use on the move. The screen is big and bright though, and along with the digital display between the dials on top-trim models – gives the cabin a high-tech feel. Happily, this modernity hasn’t come at the expense of basics like a good driving position. Admittedly, some drivers may want more reach adjustment on the two-way adjustable steering wheel, and the driving position is more upright than you would find in a conventional hatchback, but with six-way adjustment on the driver’s seat, most people can get comfortable. From here, they’ll see that, high on the dash, the quality of materials is passable, but the lower down they look, the cheaper-looking and less attractive the materials become - especially the shiny, lacquered 'wood' finish on high-spec versions. In the front at least, there are no complaints about the space on offer: a couple of six-foot tall adults have more than enough room to get comfortable. It’s not quite the same story in the rear seats, though. You need to have the sliding back seats set into their rearmost position to take six-foot tall adults, and the comfort of the centre passenger is restricted both by the tunnel in the floor, and by the fact that the centre seat is narrower than the outer two. Likewise, we recommend you avoid specifying the optional full-length sunroof, which very obviously restricts the available headroom - especially as the rear seats are set much higher than those in the front. To make matters worse, when you do slide the rear seats all the way back, that further restricts the space in the boot, which is already limited by the high floor. 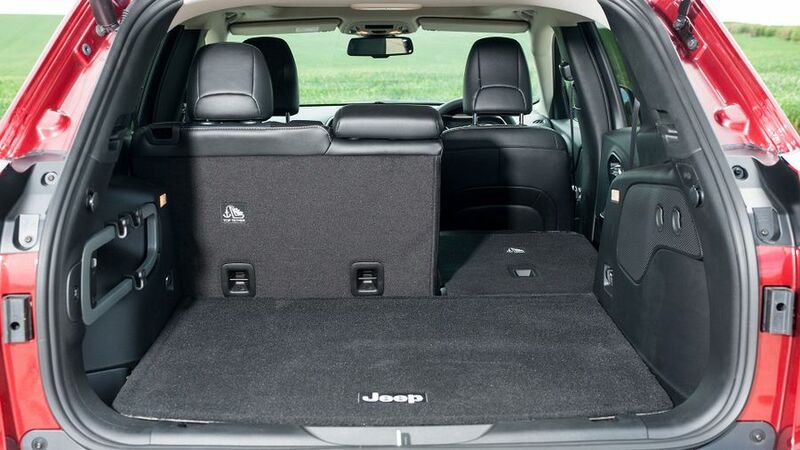 Still, on the other hand, that high floor does mean that there is no annoying lip to lift luggage over; and, when you fold down the 60/40 split rear seats that are standard across the range, it leaves a fully flat load area. With the rear bench slid all the way forwards, you've got 591 litres of space available - a decent chunk more than you get in BMW X3 for example, but this space does come at the expense of rear legroom. Unfortunately, this is an area where the Cherokee falls down: it's a real disappointment on the road. True, we drove the top-of-the-range Limited model on large wheels, but the ride simply wasn’t comfortable enough. The Cherokee thumped its way over lumps and bumps in town, and at higher speeds (on the motorway, for example) it picked up on ruts and ridges that we couldn’t even see. The result is that you seem to be constantly bobbing around uncomfortably in your seat. Worse still, all this firmness doesn’t translate in any way into sharp handling: in fact, with slack body control and steering that's very slow to react and vague in its responses, the Cherokee feels crude – dated, even – next to many of its rivals. There is a long list of SUVs which strike a better balance between ride comfort and handling agility, and the fact the Jeep provides neither is probably its biggest weakness. 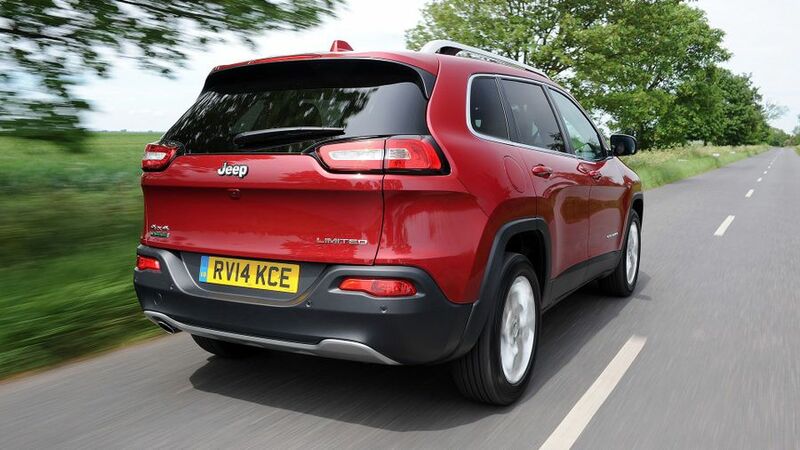 With the exception of the V6 petrol-engined Trailhawk version (which is designed for off-road use and available to special order only), every Cherokee has a 2.0-litre diesel engine, which comes with a choice of two power outputs, 138- or 168bhp. Other than the power, the main differences are that the stronger engine comes only with four-wheel drive and a nine-speed automatic transmission, whereas the less powerful unit comes with a six-speed manual ‘box and the option of two- or four-wheel drive. So far, we’ve driven only the 138bhp version with four-wheel drive, and emerged rather disappointed. Not so much with the ultimate performance – in fact, for the size of car, it’s perfectly acceptable, and the engine pulls reasonably well from relatively low revs – but more with the way the car goes about its business. Above all, it’s very noisy from even modest revs, while the six-speed ‘box has a slow and ponderous change, all of which makes any journey rather less than pleasant. That would be ok if the engine was a little more flexible, but the narrow power band means you regularly have to interact with that sluggish gearbox. The auto model is a little easier to live with, but the software often takes its time, and gets flustered easily. If you just want the lowest running costs, you’re best off going with the front-wheel drive models, which average well over 50mpg on the combined cycle and have CO2 emissions of 139g/km – figures which compare well with the best in class. Mind you, even the least economical model is still pretty respectable, averaging not much less than 50mpg and with CO2 emissions of 154g/km. Insurance costs, too, look pretty much par for the course, but where the Jeep falls down is by having lower predicted residual values than rivals from the likes of Audi, BMW and Land Rover. It's no cheaper to buy than those cars, either. Not only will that push up whole-life costs for private buyers, it’ll raise lease rates for business users. This is an area where Jeep has traditionally performed pretty poorly. According to Warranty Direct, the company sits uncomfortably close to the bottom of the table when it comes to reliability, while previous versions of the Cherokee have also proved well below average. However, there is some potential good news, in that this Cherokee uses a lot of bits and pieces from the Fiat Group – not least its engines – and that company rates much more highly with Warranty Direct. It’s too early to know if this will actually translate into better reliability, but we’ll keep an eye on developments. There’s nothing to complain about here, with plenty of safety kit fitted as standard across the range. 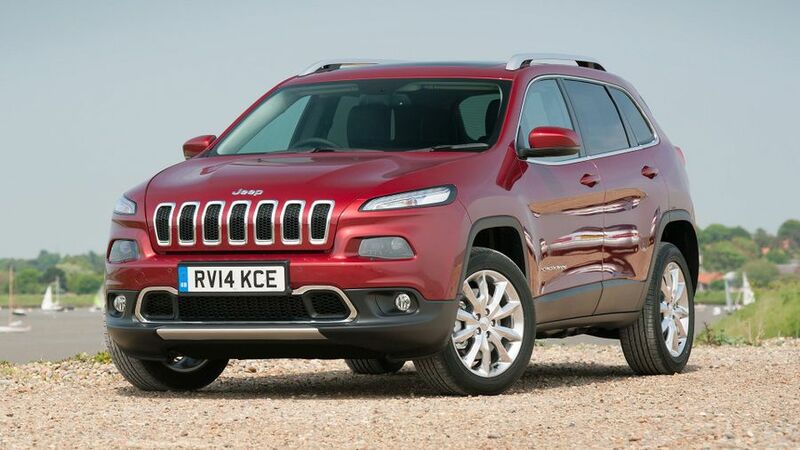 Every model has front, side and curtain airbags, as well as one to protect the driver’s knees, and a tyre pressure-monitoring system – all of which helped the Cherokee to score a maximum five stars in Euro NCAP crash tests. Beyond the standard kit, you can also specify optional features such as Lane Departure Warning, Forward Collision Warning, Adaptive Cruise Control and Blind Spot Warning. However, it’s disappointing that these are only available on the most expensive models, with Limited trim and an automatic gearbox. There are three trim levels – Longitude, Longitude+ and Limited – and even the most basic comes with dual-zone climate control, Hill Start Assist, rear park assist, a touchscreen display, DAB radio and voice control. That’s enough to make it our favourite trim, but should you want to step up to Longitude+, it brings a larger touch-screen, sat-nav and an upgraded stereo. For real pampering, you have to go for Limited, which adds heated/ventilated and electrically adjustable front seats, a wireless phone-charging pad, rear-view camera and leather upholstery, as well as a powered tailgate and automatic wipers. Beyond that, there are several options – many arranged into ‘groups’ that you buy as a pack – and many accessories, such as bike-carrying racks, roof bars and ‘load management systems’. The special-edition Trailhawk has a bespoke specification that suits its role as the ultimate off-roader in the range, including unique bodywork that gives it more ground clearance. The Cherokee offers good running costs and distinctive styling. It also comes with plenty of equipment and – especially appealing on a family-oriented SUV – an excellent score in crash tests. However, you’ll only buy it if you’re prepared to forgive it some obvious shortcomings when it comes to cornering, ride comfort and refinement, shortcomings you don't have to put up with on similarly priced (and more desirable) rivals like the BMW X3.